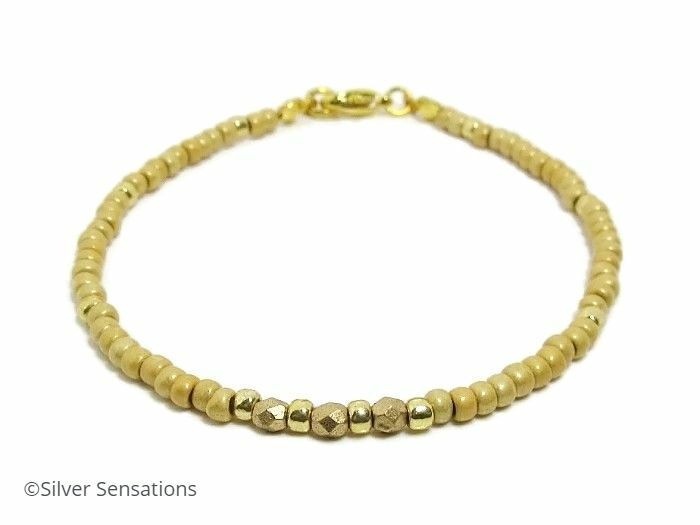 A uniquely designed frosted & shiny golden seed bead stacking friendship bracelet. These high quality seed beads are from Toho & are 3mm in size. 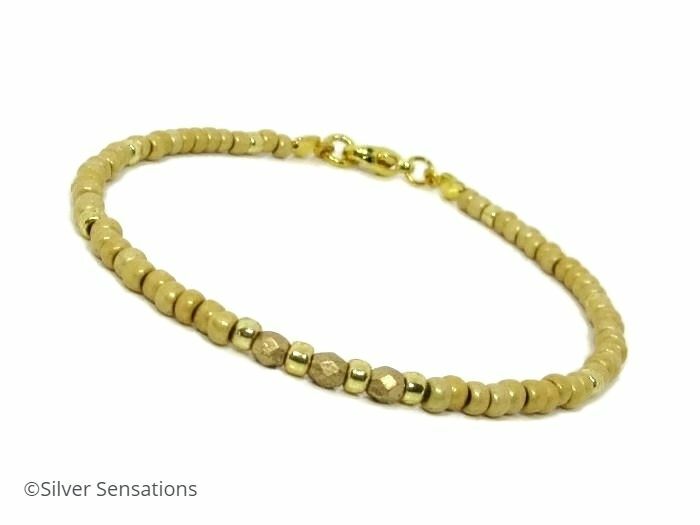 Most of the bracelet has the frosted beads with shiny golden ones at each side. 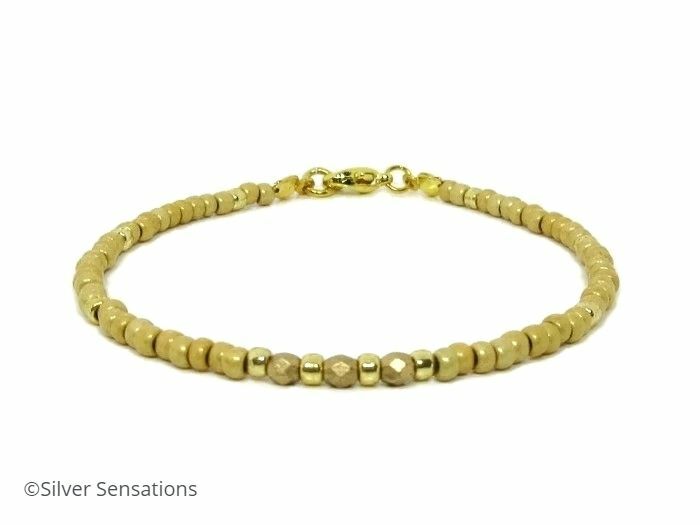 At the front of the bracelet are toning faceted golden Preciosa matte fire polished beads with a shiny gold bead between each of these. 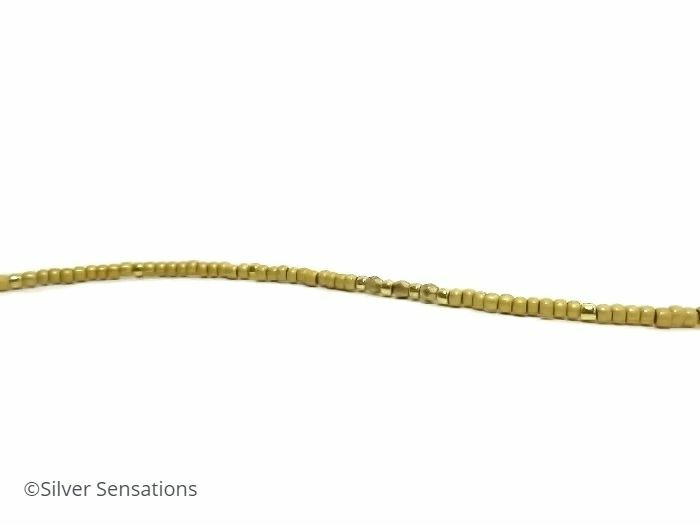 Finished with a gold plated lobster clasp, this slim handmade fashion bracelet has a wearing fit of just over 7.5". 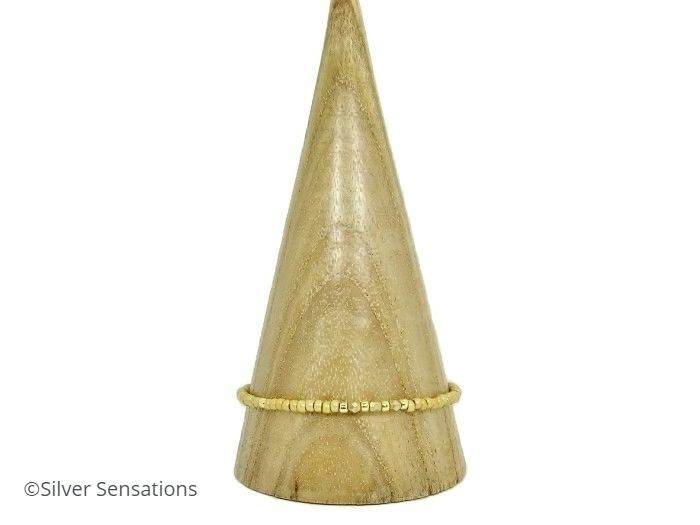 Due to its colour, this bracelet can be worn with most outfits. 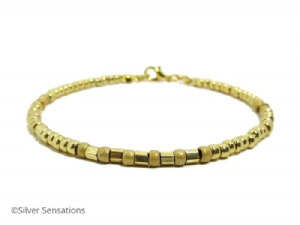 These seed beads are 3mm wide so is ideal to stack with other bracelets. Or why not create a layered boho look with lots of these bracelets in different colours? I have many colours of beads available, so if you'd like a different colour or combination of colours, please contact me & I'll be happy to help..
All my plated materials are bought from reputable suppliers as conforming to EU Safety Directives which means that they are lead & nickel free.